Do you ever feel your life is a roller coaster ride? How often do you truly take time for yourself? Do you have aches and pains almost daily? Are over-the-counter or prescription medications controlling your life? When was the last time you actually felt at peace? If any of these questions resonate with you, then it might be time to look at Traditional Chinese Medicine and acupuncture for an answer. 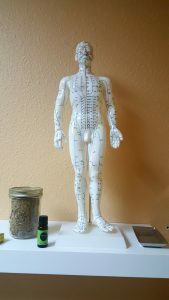 People in Asian countries have known the magnificence of acupuncture for thousands of years. Traditional Chinese Medicine is growing in popularity in the United States and here are some reasons for acupuncture and why you might want to consider utilizing it also. One of our patients shared her experience: “My migraines, insomnia, & anxiety are all reduced to almost nonexistent.” Read more of Julee’s testimonial by clicking here. Millions of people in the U.S. suffer from depression and anxiety, and while there are many amazing therapists available to talk to, psychotherapy may not be enough. Also, many of the prescription medications available have terrible side effects. This is where acupuncture and Chinese herbal formulas can help. Acupuncture can actually start to relieve symptoms of depression and anxiety in as few as two treatments without any harsh side effects. 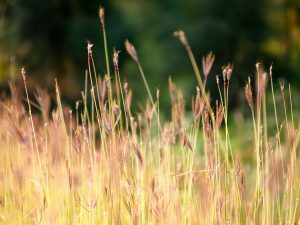 Seasonal or otherwise, allergies can be debilitating, but multiple studies have shown that allergy symptoms can be decreased and sometimes even eliminated with the use of regular acupuncture treatments. Immunity begins in the gut, and acupuncture treatments for allergies will focus on the energetic meridians that support your immune system. Many women have trouble conceiving. It’s still not entirely clear how acupuncture for fertility works, but there is evidence that it increases the production of the body’s own natural chemicals such as endorphins, red and white blood cells, etc. These make you feel good and help reduce stress. It may also improve blood supply to the ovaries, which improves their function, and to the uterus, which can make it easier to nourish a fetus and reduce the risk of miscarriage. Don’t take our word for it, our patient Courtney shared her experience: “After 2 miscarriages in one year, I needed to switch things up a bit.” Read more of Courtney’s testimonial by clicking here. Pain is the number one reason why people turn to acupuncture, and for good reason. If you’ve tried everything else and got little to no relief, acupuncture may be right for you. But remember, chronic pain took time to develop, and it will also take time for acupuncture treatments to work. Many people get some relief immediately, but acupuncture works on a cumulative basis, so commitment to the process is a must. Jason shared his experience with chronic back pain relief: “After a short, painless treatment I was instantly relieved and did not have any back pain whatsoever for about 10 days (a personal record).” Read more of Jason’s testimonial by clicking here. Did you know that acupuncture’s main function is to help keep you healthy? If not, then you’re not alone. While acupuncture may not be known for preventive care, it should be. Waiting until there is an injury or illness will only cause the treatments to take longer. Using acupuncture preemptively will help you fight off illness and let you recover more quickly. That’s reason eough to give it a try. Now that you know how acupuncture and traditional Chinese medicine can help you, what are you waiting for? 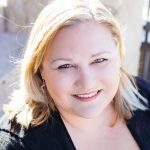 Contact Toni to schedule your first acupuncture treatment. 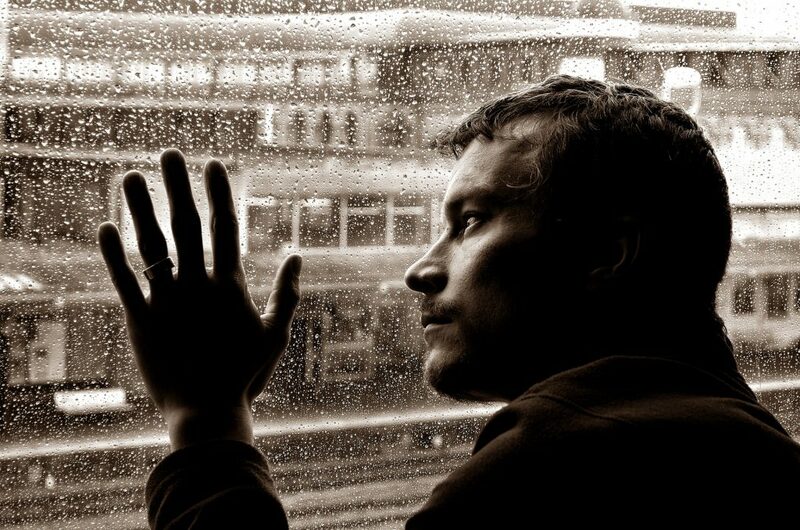 Sad isn’t just a feeling, it’s also an actual diagnosis called Seasonal Affective Disorder (SAD). As we begin to lose the summer sun and transition into the darker months of the year, depression and fatigue seem to make that transition with us. But, there are ways to shake off the impending gloom and brighten your day, if you follow some of these steps you can prepare for seasonal affective disorder (SAD) and find yourself being just as happy as you are in the warm summer months. Healthy Eating and Sleeping Habits. These next two ideas go hand in hand, as both work together to not only combat SAD, but promote a healthy lifestyle. Maintain a heart-healthy diet and get plenty of sleep. No brainers? Maybe. But, you would be surprised at the amount of people who do not follow both or one of these guidelines, I’m sure you know someone who fits into those categories. Make sure to maintain a regular sleep schedule while keeping up with a heart-healthy diet in order to fight seasonal affective disorder. Last, but not least, try acupuncture! Acupuncture is a great solution to combating SAD. There are various points on the body that have been known to alleviate symptoms of SAD. 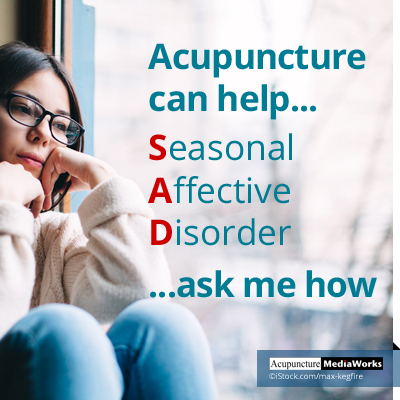 A primary point that should be addressed when treating SAD is Yintang, and when being treated for SAD by an acupuncturist you should be seen between one to two times a week. Contact us for more information or to schedule an appointment with the highest rated okc acupuncturist, Toni Twitty. Try some of these techniques that will help you prepare for seasonal affective disorder that may bother you during the change of seasons. 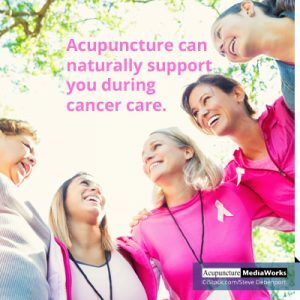 According to the National Cancer Institute, acupuncture can be used as a complementary therapy in system management of cancer-related symptoms such as side effects to chemotherapy, radiation therapy, boosting blood cell count, and improve natural killer cell activity. The National Institutes of Health have confirmed that there is evidence acupuncture is effective in postoperative and chemotherapy nausea and vomiting. Acupuncture is a non-invasive treatment that works by addressing the body as a whole to release any blockages or stagnations in the body’s natural energy flow. 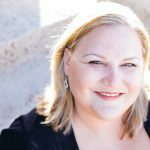 Contact your OKC Acupuncturist, Toni Twitty, for more information or to schedule an acupuncture appointment. 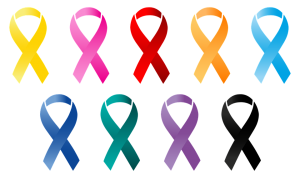 Many cancer patients who receive chemotherapy report adverse side effects such as nausea, pain, muscle aches, weakness, and fatigue. When these patients are treated with massage therapy, however, both the frequency and severity of these symptoms begins to subside. It doesn’t take many sessions before patients experience a positive improvement in their symptoms. While the study mentioned above lasted for seven weeks, many patients report an improvement in their symptoms after just a single session of massage therapy. We hope these alternative treatments help you or a loved one win the fight against cancer!